We’ve all suffered from some level of stress in our lives, whether mild and manageable, or severe and overwhelming. In fact, stress is one condition with which the vast majority of people can emphasise to some extent. 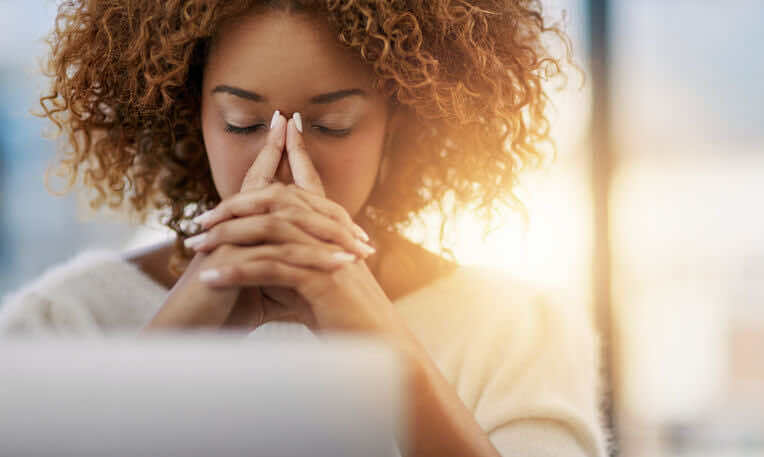 At London Doctors Clinic, our doctors are experienced in helping patients manage stress and anxiety and are here to help if you think your stress is getting too much. Stress is your body’s way of responding to a demand or a threat in your environment, and it can sometimes be beneficial. Without this brilliant ability to feel stress, humankind wouldn’t have survived evolution. Our ancestors used the onset of stress to alert them to potential dangers – for example, in the days of cavemen, stress would have alerted them to the dangers of animals such as the sabre tooth tiger! All of these changes can help you to stay motivated, help you perform under pressure, and keep you alert for dangers in your environment – so the right amount of stress is actually a good thing! The challenge with stress is when our body goes into a state of stress in inappropriate situations. When blood flow is going only to the most important muscles needed to fight or flee, brain function is minimised. This can lead to an inability to ‘think straight’; which can affect our work and home lives. If we are kept in a state of stress for long periods, it can be detrimental to our health. It should be highlighted that people are different in our abilities to tolerate stress – things which can be a major source of stress for one person may be totally manageable for another, and it is important that we refrain from judging ourselves as weak or ineffective if we are sensitive to stress; everyone is different and there is lots we can do to help ourselves deal more effectively with stress. The first step in dealing with our response to stress is recognising when stress has become problematic for us. Problems with stress occur when it becomes overwhelming, and the amount of stress in your life outweighs your ability to cope with it. As we know, modern life is full of deadlines, demands and irritations, and most of us feel stressed at some point, because, as humans, our bodies haven’t learned to recognise the difference between a life-threatening stressful situation (being chased by a wild animal), and a frustrating but non-threatening situation (being stuck in a traffic jam). How Can I Begin To Manage Stress? Now, let’s talk about what we can do about stress! We’ve put together a few first steps to tackling stress. You’d be surprised how big an effect such small lifestyle changes to your daily routine. This is one of the most important, but most elusive, things we can do in managing stress. Most adults need 7-9 hours of restorative sleep each night, but many of us struggle to achieve this. Stress can be a cause and an effect of sleep problems, and if you are having trouble sleeping, practising good sleep habits along with stress lowering tactics can help improve the quality of your sleep, leaving you more able to cope with the days stresses. Exercise can help you blow off steam, and is great for your overall health! Exercise reduces stress hormones and results in the production of endorphins – chemicals that act as natural painkillers – and also improves your ability to sleep, which in turn further relieves stress. For many people with busy lives, exercise provides a period of time to ourselves in which we can switch off and enjoy the feelings of relaxation and optimism that accompany a good workout. Eat a healthy, well balanced diet including complex carbohydrates, protein, and plenty of fruits and vegetables. Avoid excess caffeine, nicotine and alcohol, which can exacerbate feelings of stress and anxiety. Try to avoid skipping meals, no matter how busy you are, and keep a regular supply of healthy, energy boosting snack at hand. And remember to stay well hydrated with water! If you feel that the amount of stress you feel is affecting your life, or if you have tried the tips above and they aren’t helping, consider a visit to one of our GP’s at LDC. We now have nine London clinics, so should be close-by when you are looking for your nearest private GP surgery. A GP can act as a source of advice and support, and help you to access supports, such as talking therapies, in your area.